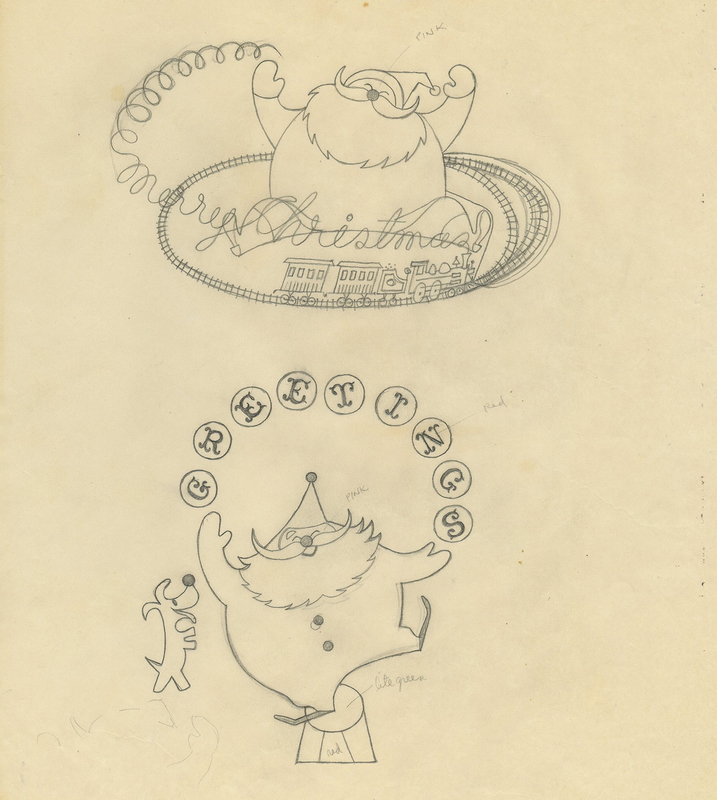 This is an original T. Hee Illustration Drawing created during his days at the Walt Disney Studios. 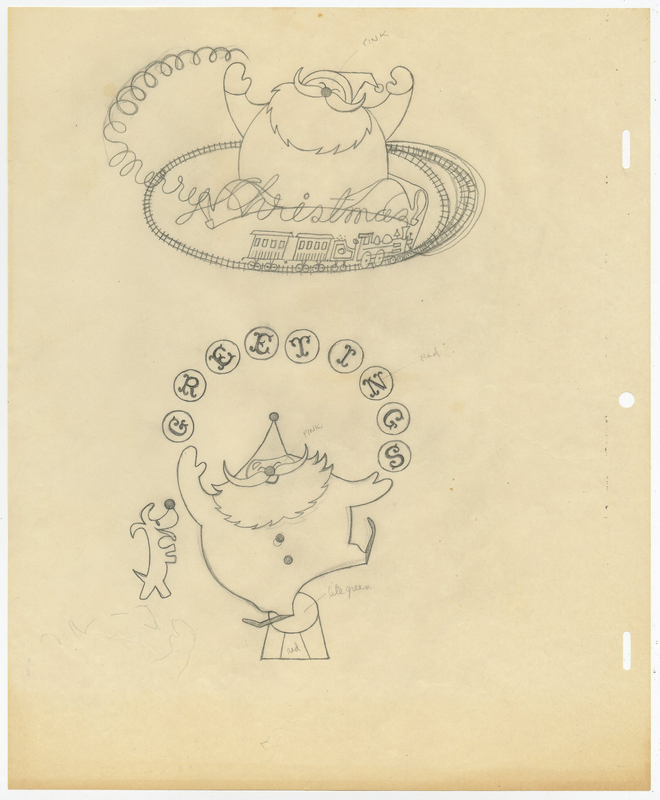 This Illustration Drawing features Santa Claus and was created to design a Christmas card that would have been sent out personally from T. Hee. Hee was well known for his annual holiday cards, as many artists and studios took great pride and put forth tremendous effort to create unique holiday cards. The overall measurements of the piece are 12.5" x 10.5" and the image itself measures 10" x 6.5".